The assessment of this conclusion depends upon how one understands the commitment to love and truth. Tollefsen’s critique of Live Action rests in part on an understanding of what constitutes a lie. However, there is not a single shared understanding of how to define lying. For example, the first edition of the Catechism of the Catholic Church, echoing the teaching of many casuists, held that “To lie is to speak or act against the truth in order to lead into error someone who has the right to know the truth” (CCC 2483). Supposing that those who kill unborn human beings do not have a right to the truth, the actions of Live Action would not be lies, since Planned Parenthood workers, at least in their capacity of facilitating abortion, do not have a right to know the truth. Adopting any of these understandings, the “pimp” in the Live Action video lied. The next question to consider is whether lying is always wrong. Augustine and Aquinas held that it is always wrong to lie, even to save someone’s life. But some moralists such as Cassian and St. John Chrysostom have argued that it is permissible to lie in order to save human life. On the standard of Cassian and Chrysostom, the words of Live Action could be justified in virtue of saving human life. While Augustine and Aquinas held that lying is always wrong, they both agree that it is not necessarily contrary to the truth—it is not intrinsically evil—to leave someone in a state of not knowing one’s true intentions. Aquinas held that, “a man may be deceived by what we say or do, because we do not declare our purpose or meaning to him. Now we are not always bound to do this” (ST II-II, 40, art. 3). When heading down the Nile River the enemies of St. Athanasius, not recognizing him, called out to the saint who was on another boat heading up river, “Do you know where Athanasius is?” St. Athanasius replied, “he’s not far off.” His enemies sped down river away from him. Deception is not lying and can be justified for a serious reason, such as saving someone’s life. Could Live Action do its sting operation by mere deception rather than by lying? I think it could. The Live Action agent could say things to the Planned Parenthood worker like, “Let’s say I was a pimp. 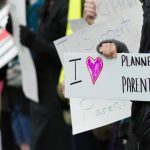 How could I make sure that my young workers can get the abortions that they need?” In hearing a statement like this, the Planned Parenthood agent would likely be deceived into thinking the agent really was a pimp who did not want to come out and flatly state the fact. The worker has been deceived, but not lied to. The agent did not assert he was in fact a pimp. In virtue of saving human life, such a deception would seem justified. The real question at dispute is whether outright lying—what Live Action actually did—ever can be justified. Nor can it be said that Live Action’s behavior towards the Planned Parenthood workers was loving. Under most circumstances, to speak the truth to another just is a demand of love. But under all circumstances, to seek to deceive is to create a relationship with another based on falsity, and this seems inevitably to be unloving. But to encourage wrongdoing through falsity does no good for the deceived agent. To seek to deceive is not to lie, at least as that term is understood by Augustine or Aquinas. Since deceiving is not intrinsically evil, it is the sort of act that in some circumstances may be justified. The circumstance of saving innocent human life seems like just the sort of circumstance that justifies deceiving others. Indeed, it is love that motivates Live Action to undertake the dissimulation: love for unborn human beings but also love for those who are perpetrating the evil. The works undertaken by Live Action have led to job losses by Planned Parenthood employees who are thereby prevented from continuing to do the evil that they formerly did on a daily basis. Though they doubtless would not agree, it is a good thing for these employees that they are no longer doing their former jobs. It is an act of love to facilitate the end of their evildoing. Finally, Tollefsen’s principles would seem to prove too much. They would seem to exclude undercover sting operations undertaken by law enforcement. They would exclude infiltrating a terrorist cell. They would exclude spies working to foil enemy battle plans. They would exclude investigative journalism that cultivates trust with the object of investigation. It could be that morality demands an end to all such activities, but it seems more likely that such activities are ethically permissible for serious reasons. By the same reasoning, it seems that the basic strategies undertaken by Live Action need not involve intrinsically evil acts that must always be avoided whatever the cost.